Microalgae represent the oldest and simplest plants known to exist in nature. There are millions of different types of microalgae which have functioned for eons as nature’s biological filtering system. Like the air we breathe, microalgae exist everywhere and are continuously circulated throughout the world via wings, wind and water. 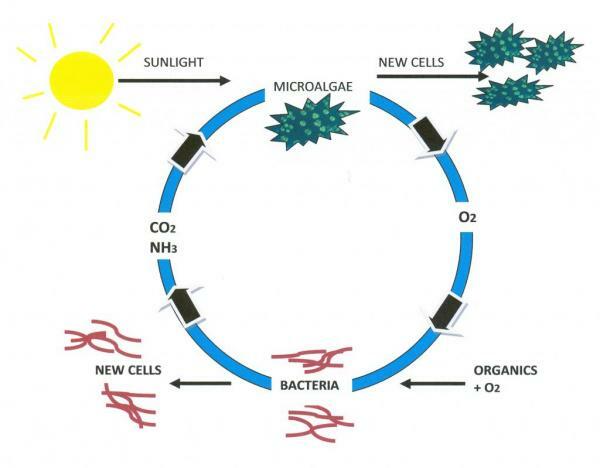 Certain species of single cell microalgae, when exposed to sunlight, produce pure oxygen molecules (O2). They are different from colonizing blue-green algae or oil producing algae, which are being studied in order to produce bio-fuels. Microalgae produced oxygen, when made available to microbial bacteria in a wastewater lagoon, provide the major element needed for the digestion and elimination of organic material found in wastewater streams. The following two schematics illustrate photosynthesis and the resulting microalgae cell growth. 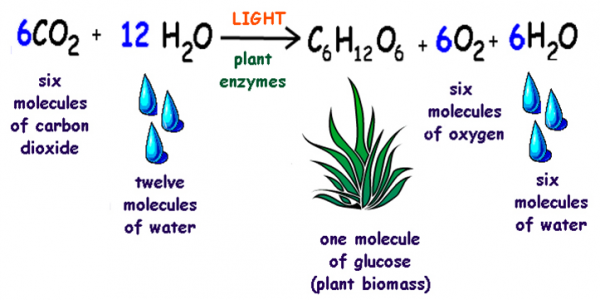 When carbon dioxide (CO2) and water (H2O) are available in the presence of sunlight, more microalgae and oxygen (O2) are produced. The simultaneous occurrence of these two processes results in additional bacteria and microalgae growth from the organic waste stream.